The customer service is amazing. The owner Bryan goes out of his way to make sure everything is perfect. I would say that they were here quick. They did a good job. They went above and beyond to get the job done. I had a good experience. The female technician that came out was very knowledgeable. She answered all of my questions and explained what needed to be done. She was very qualified. She was very knowledgeable and personable. Certified Heating and Air Conditioning provides a wide range of solar and HVAC services for residential clients throughout the Bay Area. The company has the training and equipment to work on everything from air conditioners and furnaces to photovoltaic solar energy systems, and it also offers 24/7 emergency service for the convenience of its customers. 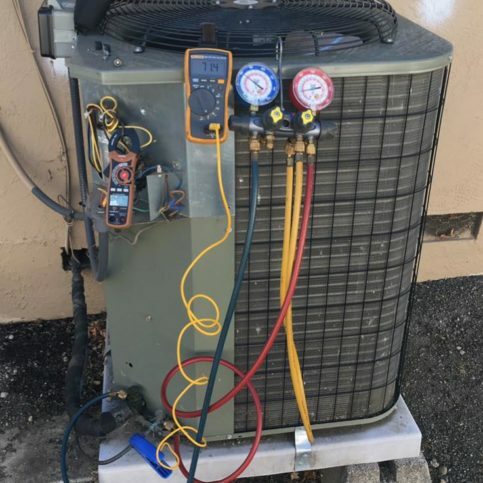 Certified Heating and Air Conditioning also offers a maintenance program that provides clients with a variety of benefits, including bi-annual HVAC system maintenance, priority booking, and discounts on repairs and replacements. “By making sure our customers’ systems are operating correctly, we’re able to make their homes more efficient and put more money back in their pockets,” says Mr. Arlaud. 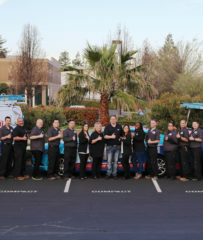 Certified Heating and Air Conditioning’s staff prioritizes customer satisfaction on every job. 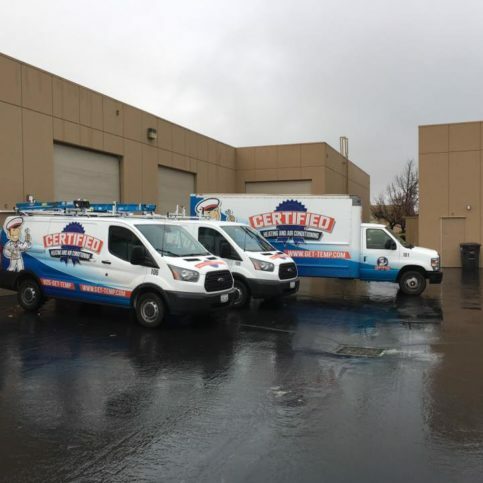 Certified Heating and Air Conditioning has been providing HVAC and solar services for residential clients throughout the Bay Area since 2016. The company has the in-house capabilities to work on everything from furnaces and air conditioners to photovoltaic solar energy systems, and it also offers a maintenance program that includes benefits like bi-annual HVAC system maintenance, priority booking, and discounts on repairs and replacements. Thanks to a recent innovation, homeowners can now use smart technology to improve indoor air quality. Q: How soon can you come out and start my job? A: It depends on the time of year. During the more temperate seasons, we can usually come out within a day or two, but in winter and summer, we’re often booked two or three weeks in advance due to increased demand. To ensure prompt service, we recommend scheduling preventative maintenance and other non-emergency services during the fall or spring when it’s not as busy. Q: Are your technicians punctual? A: Yes. Our ‘on-time promise’ guarantees we’ll be at your appointment within a designated two-hour window. If we don’t arrive within that window, you don’t pay for the service. Q: Do you offer a maintenance program? A: Yes, and it gives members a lot of benefits. We’ll come out and service your furnace before winter and your air conditioner before summer to make sure they’re good to go. We also offer a program that includes solar, in which case we’ll come out four times a year to service both your HVAC equipment and solar equipment. We’ll clean the panels, inspect the electrical components and make sure your system is performing as it should be. With these ongoing maintenance services, you can be sure to get the maximum performance for your investment. 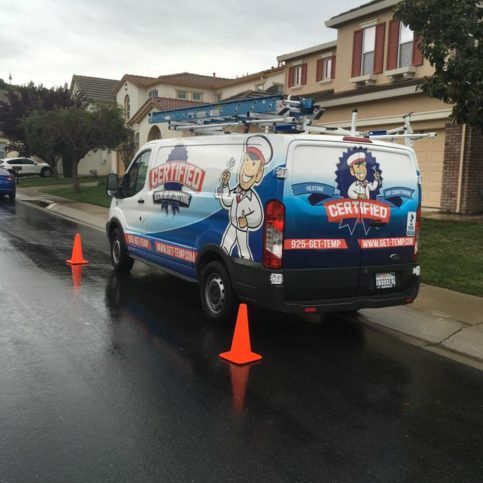 Q: Why should I pay for preventative maintenance? A: Just like your car, your HVAC system requires ongoing maintenance in order to continue performing optimally. Not servicing your HVAC system is like not changing the oil in your car—eventually it’s going to break down. In contrast, having your system serviced on an annual basis will maximize its lifespan, which will save you money in the long run. Bryan Arlaud is CEO of Certified Heating and Air Conditioning, a Diamond Certified company. He can be reached at (510) 371-5909 or by email. Bryan’s involvement in the HVAC industry started early. “My grandpa was in HVAC and so was my father, so that’s pretty much how I got into it,” he says. “My first job was working for a friend of my dad who owned a sheet metal shop. 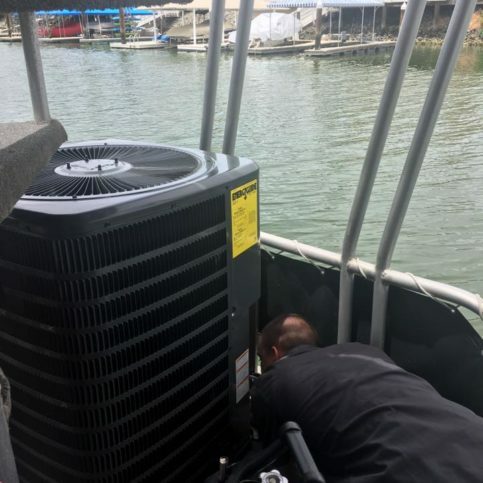 I started at the bottom of the ladder, sweeping floors and cleaning toilets, and worked my way up from there.” Over the next 20 years, Bryan gained further experience working for several different HVAC companies before he started his own business in 2016. A: “The Slight Edge” by Jeff Olson. A: Definitely a dog person. A: A white German shepherd named Shay. A: Bora Bora. Ever since I saw a picture of those little huts out on the water, I’ve wanted to go there. Q: Who’s your favorite superhero? CONCORD — If your HVAC system is more than eight years old, it likely constitutes the lion’s share of your home’s energy consumption. In fact, it’s common for heating and cooling to represent more than half of a home’s total energy costs. As a result, you may be overpaying for comfort—or, worse still, be unable to afford it. In either case, you’ll be glad to know there are options for improving your situation. One option is to replace your old HVAC system with a newer, more energy-efficient model. 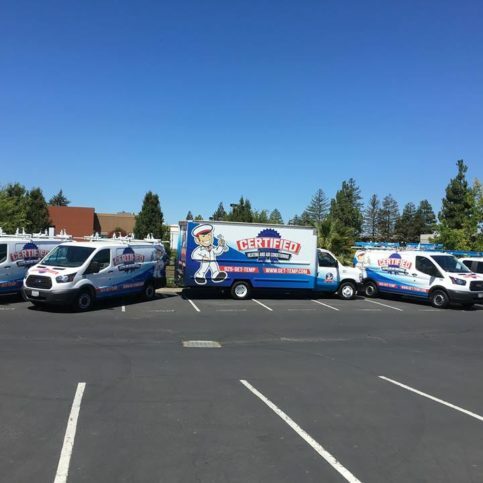 During the last decade, California’s ever-tightening energy efficiency regulations have spurred HVAC manufacturers to improve their technology, which has resulted in systems that operate up to and above 90 percent efficiency. For this reason, replacing your outdated system with a modern one could put quite a dent in your monthly utility bills. If you really want to slash your heating and cooling costs, consider switching from a gas-powered HVAC system to an electric one. “But I thought electricity was more expensive than gas,” you might be thinking. True, but there’s one more element to this cost-cutting strategy: solar power. By incorporating solar power and converting your HVAC system to electric, you stand to save big. Since you’ll be generating your own sun-powered electricity, your system will cost next to nothing to run. Considering the hundreds of dollars you currently spend each month to heat and cool your home, it’s obvious what a game changer this can be. Essentially, instead of paying PG&E to be uncomfortable in your home, you can start paying yourself and maximize your comfort in the process. CONCORD — Host, Sarah Rutan: Before purchasing a new heating and cooling system, make sure you’re getting the latest and greatest industry technology. Today we’re in Concord with Diamond Certified Expert Contributor Bryan Arlaud of Certified Heating and Air Conditioning to learn more. Diamond Certified Expert Contributor, Bryan Arlaud: One of the big things that is changing in the industry today is that many people are used to a gas-fired furnace that uses not only electricity, but also fuel to heat the home. You get those in two different versions. You can get it at 80% efficient or 90 and above percent efficient. The big change is coming in where we are starting to heat and cool homes with electricity, so we’re not using fuel anymore to heat the house. We’re generating it from the solar system that back-feeds into the system. Then we can heat and cool the house so that you can stay comfortable. Whenever you have someone come out to talk to you about new equipment, make sure to get all the options so that you’re not just getting older technology. Make sure you’re getting something that’s going to save you energy and headaches down the road with paying for higher utility bills. Certified Heating and Air Conditioning : Average 8.9 out of 10 based on 100 unique customer surveys of customer satisfaction. I would tell them to use their service. The customer service and technicians, they were great. I would tell people to use them. They were trustworthy, reliable, and clean. Their price was also fair. The woman that came out was fabulous and amazing. Unfortunately, there isn't anything they could do with my heater, as it is so antiquated, so I need a new one. I was very happy with the staff as well. The staff was really great. I would tell them that they are a good company. They have a professional mannerism. I don't know about the company as a whole. The lady who came out was really nice and thorough. The technician that came out was a real people-person. She made you feel comfortable, and the price was upfront. I was happy with the service. They are efficient, and I got a good price. I would say number one that they are affordable. The only thing was that, although I understand it, they tried to up-sell me to the monthly service plan. I would just rather pay for something if I need it. I just don't want another monthly bill. I was confident that I was being treated honestly. I was not being led down some primrose path. I signed up for their service. The technician replaced a part and told me what was wrong. He repaired it and then left the bad part. I liked that, because I could test the bad part if I wanted to. I was really pleased with the technician. She was very knowledgeable. She had a very good demeanor. I liked that she offered information and answered our questions. I called during the busy season, so it took a while. I would tell others to call ahead if they start to notice an issue. The first person came out for a quote and ended up returning with the manager. They were able to figure out what was wrong and gave me a quote on the spot. I felt confident about them. I would say to have the maintenance done. She was very friendly and knowledgeable. She was very good at explaining what was wrong. I think they are a great company who cares about their customers. I will use them again next time I need them. They were here within 24 hours to fix the problem. Call them, because they do a good job. They were professional and took care of the things that needed to be done. I thought they did a good job. It was a simple repair to the pilot light on our furnace. Nothing, it was a simple visit. They are there when you need them. Even after I ordered my air conditioner, I can call and ask questions. I believe her name is Kim. She is always there. I would tell someone to use them. The lady that came out was very thorough and explained everything to me. She was wonderful.